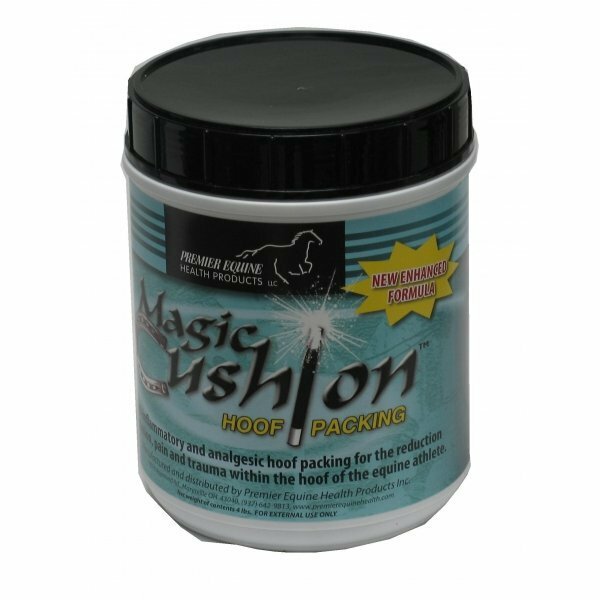 Magic Cushion is the only anti-inflammatory and analgesic hoof packing available to the equine athlete. Proved efficacious in providing relief from laminitis, white line disease, pedal osteitis, abscesses, navicular syndrome, etc. Magic Cushion Hoof Packing has different options and/or variations, please choose below. 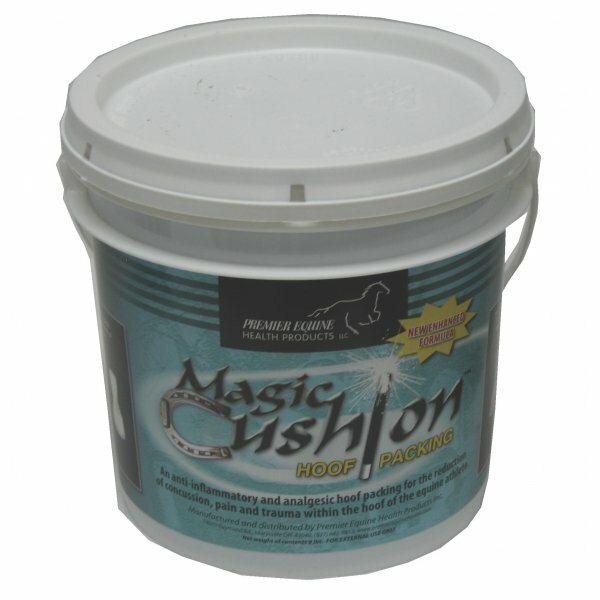 Magic Cushion has been proven efficacious in providing relief from the soreness resulting from the everyday rigors of training, laminitis, white line disease, pedal osteitis, abscesses, navicular syndrome, bruising, corns, canker and any concussive trauma to the hoof tissues. Magic Cushion can be used under a protective pad or simply applied with a wrap. Magic Cushion is scientifically proven effective for the reduction of concussion, pain, and trauma within the tissues of the foot. An anti-inflammatory and analgesic hoof packing for reduction of concussion, pain and trauma within the hoof. Proved efficacious in providing relief from laminitis, white line disease, pedal osteitis, abscesses, navicular syndrom, etc. Can be used under a protective pad or simply apply it with or without a simple wrap. Ideally, it is formulated for use after a hard work or the day before and the day of the athletic event.